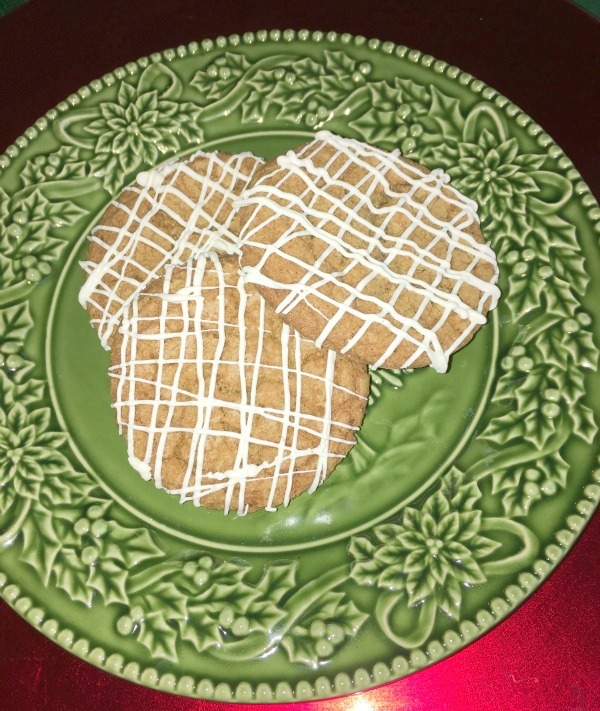 A tried and true recipe that has been in my family my entire life is Peanut Butter Cookies, AKA Crisscrosses. I can’t remember my Mom not making them. Easy to make, plus freezes well so they can be one of your make ahead cookies. A slight change was made for a new taste. If only I knew how many batches I have made for my family who loves them, and I will admit I eat raw cookie dough. As I started to make a batch recently, I thought about changing it up a bit. 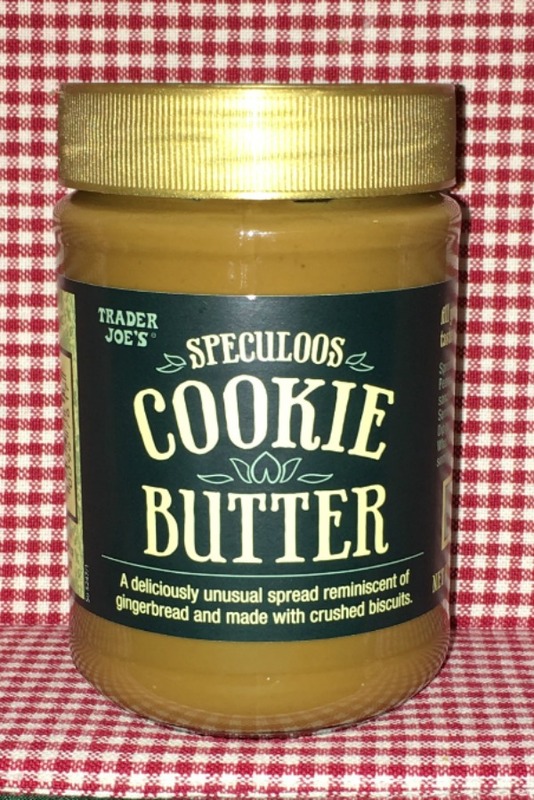 Why not try the Trader Joe’s Cookie Butter that everyone loves. Well, everyone but me I guess. It has that slight Gingerbread taste which I’m not fond of. I was going to be meeting my nieces later in the week who both love Cookie Butter, and in fact I had several jars to take to them. 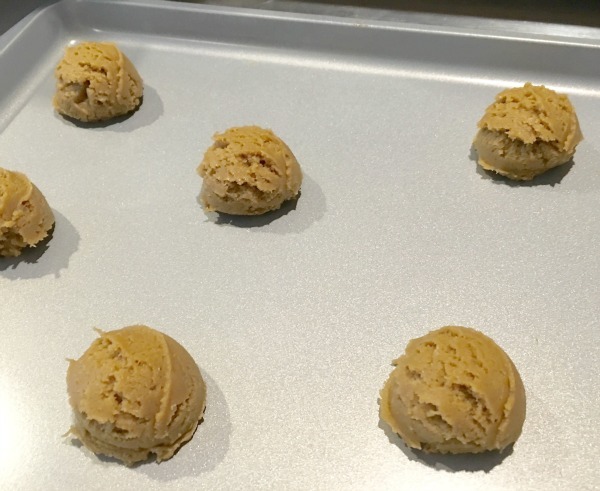 I made my Peanut Butter Cookie recipe as normal except substituting the Cookie Butter for Peanut Butter. I tasted the dough after I made it and it was ok to me, but it still had that Gingerbread taste. And I did taste one after baking. A little variety to my standard Peanut Butter Cookie. Remember to scrape down the sides of the bowl often and between each addition. Add sugars and continue creaming. Slowly mix in dry ingredients until thoroughly mixed. Scoop these onto ungreased cookie sheet. Remove onto a wire rack and cool. Get all of you ingredients and supplies ready before starting. Crunchy Peanut Butter can be used. Cool completely before drizzling chocolate. Thaw by just laying out on a plate at room temperature. If you don't have a sifter, measure dry ingredients in a large mixing bowl and whisk to get all incorporated together. Parchment paper can be used, but I just wipe the baking sheet while warm. Baking time can vary by size of cookie and your own oven. The smaller the cookie, the less time (a minute or so) it will need. I use the paddle beater on my KitchenAid but these can easily be made with a hand mixer. If you don’t have a cookie scoop, it’s one of the best investments you can make for cookies. I have three sizes and use the medium the most. 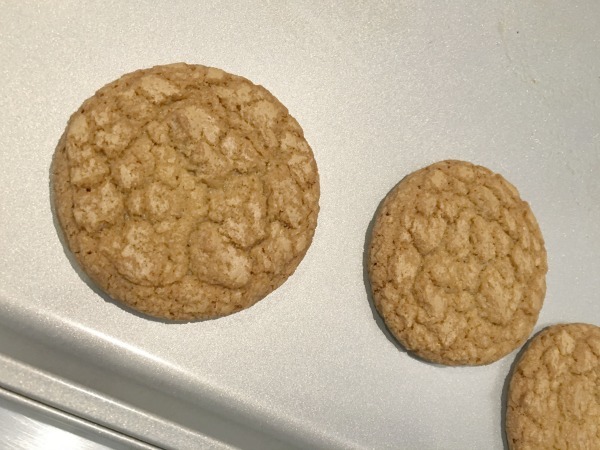 I didn’t really notice a difference in baking times but the final baked cookie had a bit more of a crackle look than the smooth Peanut Butter does. Alyson & Stormy is lucky that we all prefer Peanut Butter so that got a full batch. And FYI – they were given rave reviews by the Cookie Butter lovers. I have to wonder how many they got home with after several hours on the road. To make them a little more festive, I used a little Wilton Candy Melts and drizzled across them, that was my nod to crisscrosses. This could be done in any color and even add a few sprinkles. Or even add a Hershey Kiss to the middle before cooking for added flavor. Maybe Santa would like these too. I’m sure he loves Gingerbread. Let me know who loves this Cookie Butter. I guess maybe I will keep it on hand to try in more recipes. I do have a few ideas and not just for the holidays. What kind of changes have you made to a recipe you love? I totally know about flenieg guilty when you bake. I always give away anything I bake except a couple of cookies or a brownie square or something little to snack on Way to go and be a little chef! 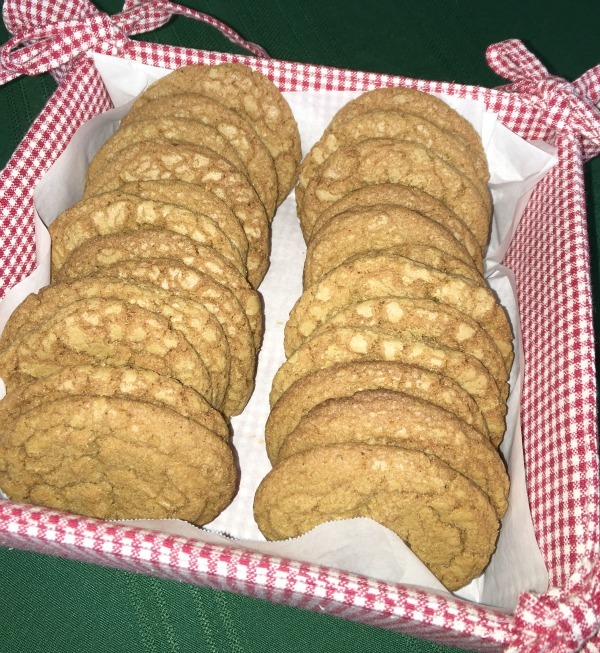 I could bake these all day though because I really didn’t like them – was experimenting but my niece who is a Cookie Butter lover said they were great. That’s what counts. I love changing up recipes just a little without having to spend time to make all new ones. I didn’t like their cookie butter. It just wasn’t for me. But I bet the cookies are delicious using the butter! It has a hint of gingerbread taste to me, which I’m not as crazy about. But the rest of my bunch loves them. Oh wow! My hubs is obsessed with Cookie Butter. I will have to make these for him. I make these for my nieces for anytime I’m going to see them. Cookie Butter is one of Trader Joe’s best and top sellers. Trader Joe’s has some of the most unique and best ideas yet, when it comes to food. Sadly our closest one is 2 hours away. That makes this recipe even better! Oh my goodness, I want to try a cookie! How absolutely delicious do they look? Thank you so much for sharing your recipe. Ive heard of the cookie butter before but never tried it. I actually have a Trader Joe’s nearby so I can’t wait to pick it up. I hear so many good things about that cookie butter. Tis the season for baking! I have to try that cookie butter for sure. 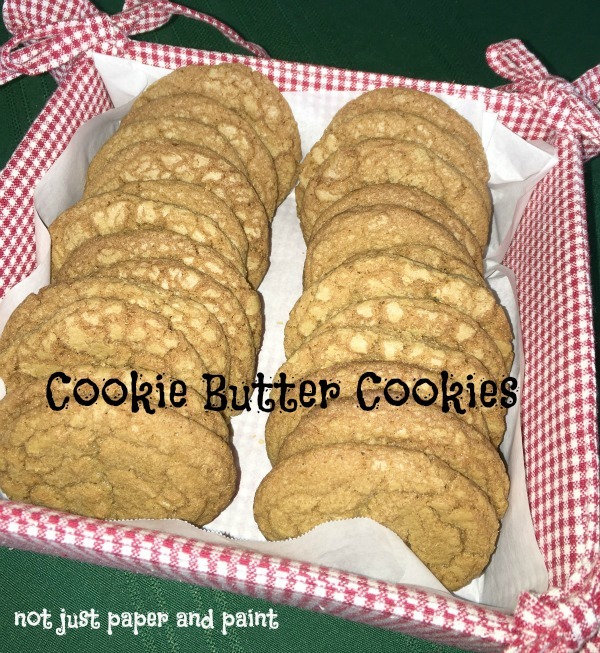 I have never tried cookie butter but my husband is a huge fan of peanut butter cookies. These look good but he may riot if I switch up his favorite. I’m so out of the cookie loop. I’ve never heard of these cookies before. I’m so glad you decided to share this recipe with us. The last change I made to a recipe was to use lime instead of lemon. Boring. I need to get creative. Their cookie butter is so good! I definitely think this recipe is worth trying. Thanks for sharing. You definitely had a great idea for these cookies. Can’t wait to make them! They look delicious. I love TJ’s cookie butter and think this recipe sounds awesome! I’d love to try it! I think I will try the Almond butter the next time I go. I’m 2 hours from one. I love Trader Joe’s Cookie Butter and turning it into a cookie is such a great idea! My nieces loved it. Kind of a tradition now. Oh my! These cookies looks so mouth watering! I would try to make a batch of these and share them with my family on Thanksgiving dinner.